UVic Women in Science presents an interview series highlighting women in the scientific community on Vancouver Island. 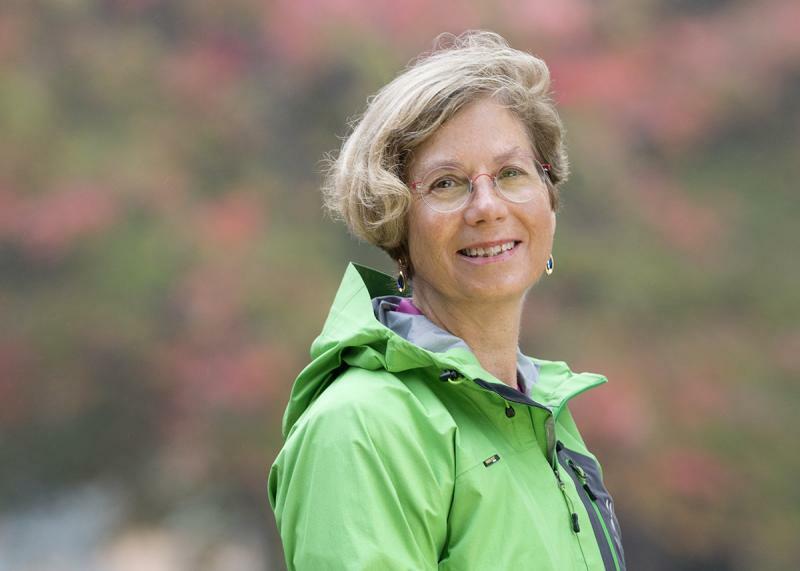 Dr. Sybil Seitzinger is the executive director of the Pacific Institute for Climate Solutions (PICS) and a professor in the department of Environmental Studies at UVic. Through her long and successful career, Sybil worked in Paris with the United Nations (UN) Education, Scientific and Cultural Organization, and has been executive director of the International Geosphere-Biosphere Program (IGBP) headquartered in Sweden. 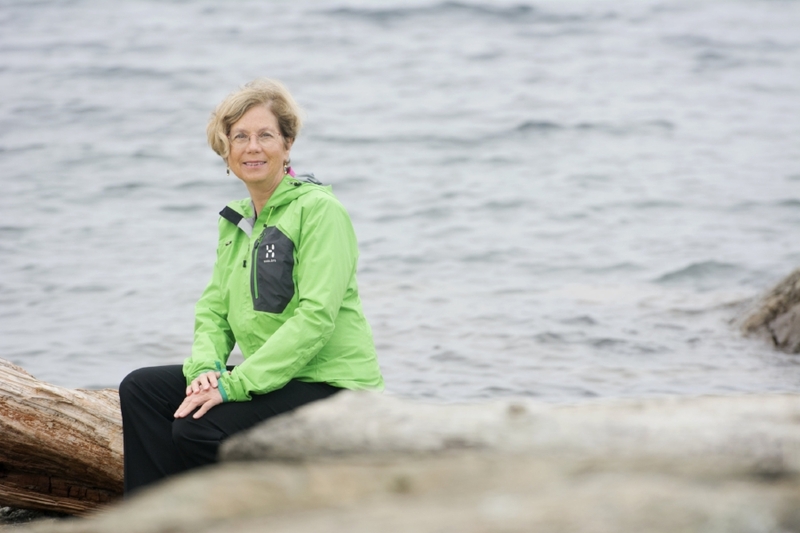 Sybil has worked to integrate many scientific disciplines through her oceanography and global environmental change research at regional and international levels. Tell us a bit about yourself and your organization. PICS is a collaboration of faculty and students across the four major research universities in British Columbia (UVic, University of British Columbia, Simon Fraser University and the University of Northern British Columbia). We draw on a wealth of expertise across the universities to develop new knowledge for climate solutions: how we can decrease greenhouse gas (GHG) emissions, or mitigation, and also how we can prepare for the changing climate that we're seeing already, and will continue to see in the future, commonly referred to adaptation. Engaging with government, industry and other decision-makers and stakeholders keeps our research relevant. How did you get involved with PICS? After nearly 20 years of being an academic and doing research with my graduate students and postdocs, I wanted to take my research to the next level, make a bigger impact in the world. I took a position as the director of a large international network of scientists studying global environmental change: the IGBP, with headquarters in Stockholm, Sweden. That gave me huge exposure to many scientists all over the world studying global environmental change. I interacted with governments and the UN on topics like air pollution, water availability, coastal eutrophication, and climate change. This network had about 60 percent of its research in climate change, which included over 10,000 scientists around the world. It was exciting and important to work at that international level, but I felt that it was really time to come back to a more tangible level. I was very fortunate to be offered this position at PICS as executive director. We are working at a level that I can see a more tangible impact with involvement from engineers, policy analysts, economists and natural scientists, a very broad range of expertise throughout the province addressing the issues of climate change. Is there anything coming out of PICS for our readers to look for? In addition to supporting PhD and master students, PICS also has an internship program where undergraduates in climate related issues can do internships with government, with business in many sectors of society. They have been useful in getting real world experience. You can find more information here. And before Sweden, can you take me through your education and career up to then? I’ve been passionate about science my entire life, beginning in high school in Iowa in the U.S. to earning my PhD from the University of Rhode Island. It was at the undergraduate level where I got particularly interested in the interdisciplinary aspect in the natural science and honed in on coastal and marine issues. It’s a very integrated science where you're bringing together the physics, chemistry, biology, and geology. During my PhD, I worked on issues that had real-life implications: for example, looking at how eutrophication and coastal systems are affected by land use, but also how coastal systems can process some of those nutrients and remove them from the system so they have less impact than they would otherwise. Here I was combining microbiology with biogeochemistry and also with the implications for policy, so again, real world issues. For the next 20 years, I was a biogeochemist that oversaw a research lab. While I was a faculty member at Rutgers University I also was the director of the co-operative initiative between Rutgers University and the U.S. federal government, the National Oceanic and Atmospheric Administration (NOAA). So, it sounds like you’ve had a number of leadership roles in your career. Did you ever feel like a big jump or did it always feel natural? It always felt natural; it was always just a next step. Each one presents its own opportunities and challenges and I'm somebody that likes change. I love learning, and you learn by having the confidence to apply what you know and ask questions when you don’t know. You’ve got to be outside your comfort zone to grow as a person and professional. The other thing that matters a lot is people. Momentum is a team effort. What are your proudest scientific contributions? Well I think of two things: One is my PhD research looking at processes removing nitrogen, which is the major driver of pollution in coastal systems. It is a process called denitrification and little was known about it. As I continued on that research in the first 10 or 15 years of my career, I showed that it was a major removal process accounting for somewhere between 20-60% of the nitrogen coming into coastal systems. This research has now been incorporated into many models that have been used by other academics, as well as by municipal to national decision-makers in the development of nutrient control strategies for coastal ecosystems. I am proud of this contribution. Another example is related to an international working group of scientists that I formed. We developed global models of land use and how it affects coastal systems through nutrient inputs. These models have been used by many academics as well as the UN and the Global Environmental Facility. Some of the work that those team members were doing, specifically the development of an indicator of coastal eutrophication, has now been adopted by the UN Sustainable Development Goals. I see the work that this network developed spinning off into many areas. I'm not directly involved anymore, but I helped initiate it and drive it home earlier on. Do you think mentorship is important for women in STEM? Absolutely! Many of the graduate students and post-docs that I mentored in my early career are colleagues and friends. You’ve got to find those mentors and “best friends” on your journey. Of course, there are many more women in oceanography and in earth sciences than before but it continues to be a challenge and we continue to seek ways to support and encourage women in STEM. What is your perspective on the current landscape for women in STEM fields? There's a large percentage of women that are getting their advanced degrees in the sciences and engineering and many of them drop out pretty early in their careers. We need to be sure that we're attentive to that and looking for how we can support women in continuing their careers; some of their needs are different than men traditionally. There was a study done in the US, quite some time ago, that was looking at why so many women drop out of science careers within a few years after they finished their PhD. One topic that sticks is that women tend to be harder on themselves [than men] in a number of ways. When they get a paper back from reviewers with criticisms they too often think I should have done better, I'm not good enough. Whereas men will often think the reviewer doesn’t know what they're talking about. Women tend to do the same with funding proposals; they take the rejection personally while men view it as a challenge. There are also other social factors that come into play like maternity and paternal leave, and how that impacts family and career decisions. Do you have any words of advice for future women in science? Find women and men that support and advocate for you. Follow your dreams. Always look for new opportunities where they exist and don't be worried if the opportunity you're looking for isn't right there, keep looking because it will come in one form or another. Be positive, we really need women in the workforce. They bring different perspectives to the agenda and we really need that. Women need to realize how much we need them, in every sector of society. Science is no exception. It’s important that we look back at our history and see women who have been so successful, such as Marie Curie. Look back in history at the strong women who have really made a difference, whether it's in science or any other arena. Remember: you can be that kind of leader and make a big difference in the world, too.